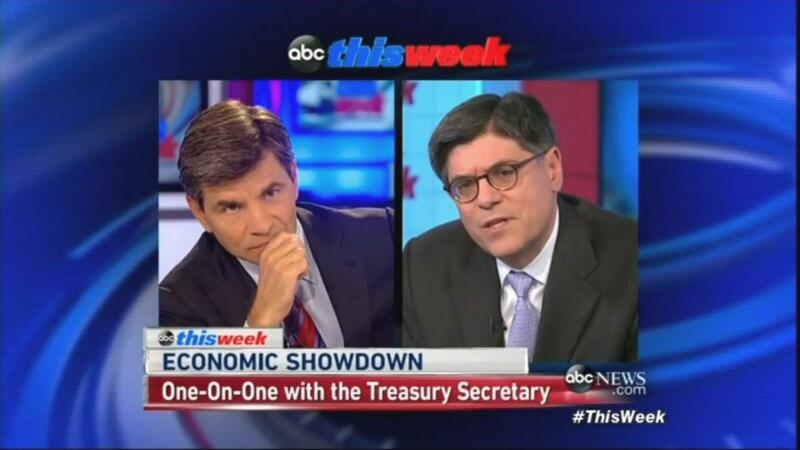 Secretary of the Treasury Jack Lew, who oversees the IRS, made the rounds of four Sunday morning TV talk shows (all but CBS’s Face the Nation) to promote President Obama’s latest “pivot” to the economy, but ABC’s George Stephanopoulos and CNN’s Candy Crowley failed to take advantage of the opportunity to press him on the IRS scandal. Let me ask about the situation facing Detroit right now, filing for federal bankruptcy last week. The governing board of the AFL-CIO has weighed in very strongly saying that the federal government must step up and provide assistance to Detroit. Is that going to be coming? We bailed out big banks, we bailed out the auto industry, we bailed out speculative home builders. And here is a major American city where, by the way, the minority population is overwhelmingly the majority population, and there’s no help from the federal government? 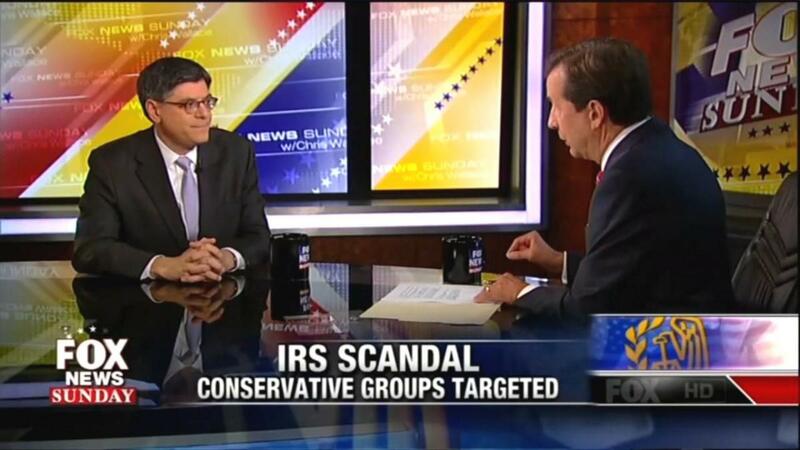 CHRIS WALLACE: On May 15th, the President directed you to investigate the IRS scandal. Again, take a look. BARACK OBAMA, MAY 15: I directed Secretary Lew to follow-up on the IG audit to see how it happened and who was responsible and to make sure that we understand all the facts. WALLACE: So if this is supposedly behind us, it’s been more than two months since he directed you to lead the investigation, explain to me how it was that conservative groups were targeted by the IRS? JACK LEW: First of all, Chris, what we found out as we went through to find the facts is that there was equal opportunity bad judgment. It was conservative groups, it was progressive groups. WALLACE: At equal numbers or not grossly disproportionate conservative groups over progressive? LEW: There aren’t an equal number of groups. The bad judgment was equal opportunity. WALLACE: But not the number of groups. It was over a hundred as compared to maybe a dozen. LEW: You have to look at how many cases of each there were. WALLACE: And who were responsible for it? LEW: There were a number of supervisors, all career, who exercised bad judgment who were relieved of their responsibilities. I think that what happened there is unjustifiable, it is not acceptable to have the kinds of screening for left or right, liberal or conservative, where you’re targeted in any ways for your views. There’s no political official who condoned it or authorized it. WALLACE: Let me ask you about that because an IRS official, Carter Hull, told Congress this week that he was ordered to send applications from two Tea Party groups, for tax exempt status, to send them to the IRS chief counsel’ office. That’s William Wilkins, who’s a political appointee. As a political appointee he reports to you, to your office. Have you asked William Wilkins, the IRS chief council appointed by President Obama, what involvement or his office had in all of this? LEW: Chris, to be clear, there a 1,600 lawyers in the chief council’s office and there was no suggestion that thi went to the one political person in that office. There’s no evidence of it. There has been no evidence of it. WALLACE: Well, wait a minute, have you asked him? 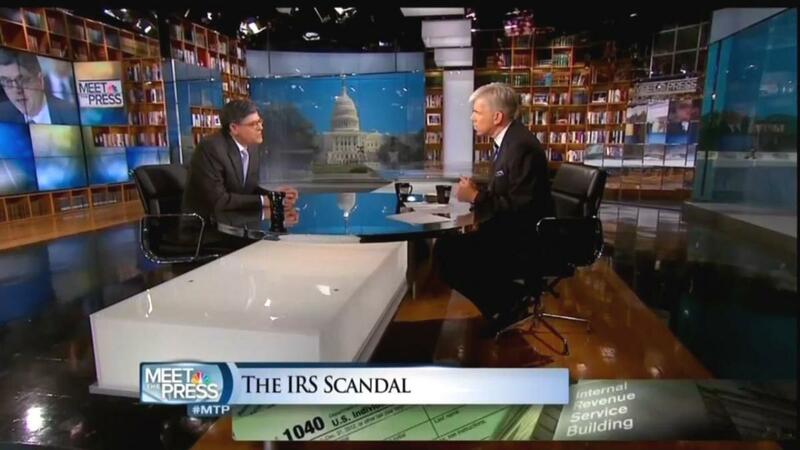 DAVID GREGORY: Before I let you go, the IRS scandal. First of all, was that a phony scandal as far as your concerned? Why did the President and others refer to that as a phony Washington scandal? JACK LEW: The President and I have been clear what happened was unacceptable, extremely bad judgment, and it’s unacceptable for groups right or left to be targeted because of their political views. I think that the piece of it that the President was referring to is after weeks and weeks of investigations, IG investigations, Justice Department investigations, congressional hearings, there’s no evidence of any political involvement in the decisions leading up to that situation. So the attempts to continue to raise this question in the absence of any evidence is what he was referring to. And I think that, you know, politics being what it is, it will probably continue. But we have to distinguish reality from the part that is phony. There was a real problem. The problem was bad judgment that was, you know, career officials trying to operate their programs more efficiently using bad judgment to do to it. But the political piece, that’s a stretch. There’s no evidence. GREGORY: Mr. Secretary, I’ll leave it there. Thank you as always.